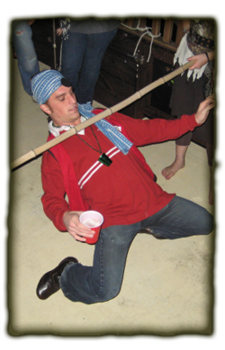 Climb aboard and Bring Your Grog! gulping down your favorite adult beverages. 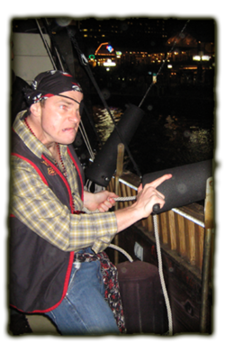 The Captain will welcome you aboard the ship where you and your mates will be dressed up like pirates: vests, tattoos and pirate names included. 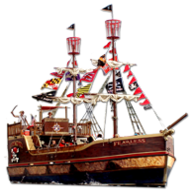 all aboard the pirate ship Fearless. You may bring any adult beverages and mixers in glass, plastic, or cans (cans recommended). Small coolers are welcome. There are no drinks or mixers sold on the ship. B.Y.O.G. Cruises are for riders 21 and over. Photo ID Required. 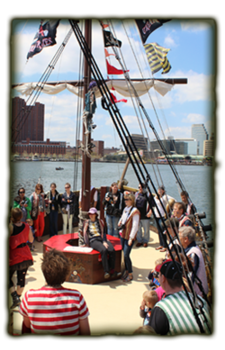 Each cruise boards from the Ann Street Pier in Fells Point and includes roughly 30 minutes of Boarding Activities and 60 minutes of sailing out on the water. Each cruise has a listed check-in time. 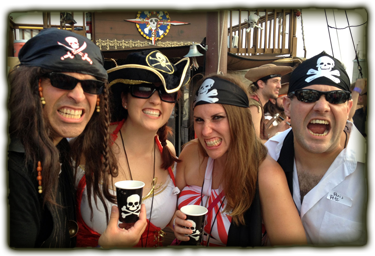 We ask our guests to check-in on time allow our crew to transform you into pirates. We encourage guests to dress up in their favorite outfits from home if they wish! 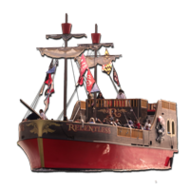 BOOK EARLY - Many cruises fill up one or two weeks in advance. Once 49 tickets per cruise have been sold, we can not sell any more. intoxicated to ride with other passengers. Please drink responsibly. Group tickets must be booked and paid for together in order to receive the discount. Adult 'B.Y.O.G.' 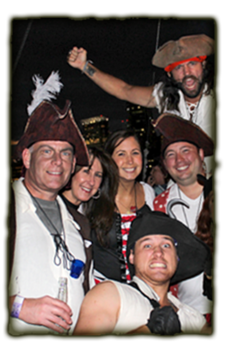 Cruises make great Private Charters and Corporate Outings.